The Major League Baseball Winter Meetings are in full-swing and so far a number of deals have been completed. There are players on the move, players staying put, and some free agents who have drawn interest from teams, but so far nothing has happened. · Derek Jeter was reintroduced…well, not technically, but he had a press conference yesterday to announce his new deal with the Yankees. He told the media that he was upset with them because his negotiations became public. He wanted to keep his talks with the Yankees private. I can’t blame Jeter for getting upset about it. If he wanted everything kept under wraps, in terms of negotiations, and did not want everything to become public knowledge, the media should have respected that. I suppose that’s the press these days; they stir the pot and bring out the worst of everything in professional sports. Jeter has had respect for the media his whole life. Yes, I understand his interviews are about as boring as watching an entire soccer game, but he never crosses the line; he never breaks down and makes a spectacle of himself. Jeter never explodes in front of the cameras and microphones. He always gives the media a professional sound bite–which is his job as captain of the New York Yankees. You would think after all those years the papers would have a little more respect for him. You would think they wouldn’t photo-shop his face on a Mets or Red Sox uniform. Well, I guess we all have to think again. Jeter simply laughed at photo-shop nonsense. At any rate, I’ve already offered the majority of my thoughts on the Jeter deal in my last video blog. Now that the deal is complete and I have offered all of my thoughts on Jeter’s “return,” I will no longer mention anything about it. Jeter is back and we all knew he wasn’t going anywhere from the very beginning. · Brian Cashman apparently sat down for dinner with Carl Crawford and his agent last night. Interesting, but he is also set to meet with the Los Angeles Angels. I don’t really expect him to come to the Yanks. However, it has been said that if the Yankees don’t sign Cliff Lee, they will probably make a bid for him. I think the Angels will land him, or another team like the Red Sox will make a huge push for him. The Rangers are also looking to sign Crawford, as reported today by MLB.com, so Texas could be in his future. Although sources are now saying he is most likely headed to L.A. Right now nothing is certain. What that means, I have no idea. What I do know is that the Yankees and Rangers (obviously) are not the clubs that were eliminated from the sweepstakes. Today Cashman said that he is willing to “get serious” about Lee and the Yanks could possibly offer him six years at around $140-150 million. Now that the Jeter drama has ended, I am tired of hearing about the Lee drama. I know he is the hottest free agent on the market this off-season, and all the teams that were contenders last year want to try and get him. · Andy Pettitte. According to ESPN’s Tim Kurkjian, Joe Girardi said he was going to reach out to Pettitte in a couple of days to see whether or not he has made a decision on his future. Originally reported, Pettitte was leaning towards retirement. But other sources have now said he may want to pitch in 2011. If he does come back, I cannot imagine him pitching anywhere else but New York. There was a report a few weeks ago claiming the Rangers contacted Pettitte. The report was later denied by Rangers’ President Nolan Ryan, who said the team never talked to Pettitte or tried to lure him away from New York. Again, his future depends on what Lee does. If the Yankees sign Lee, their efforts to bring Pettitte back might subside, or at least dwindle. If the Yankees don’t land Lee, however, his decision regarding his future will certainly have an impact on the Yankees. 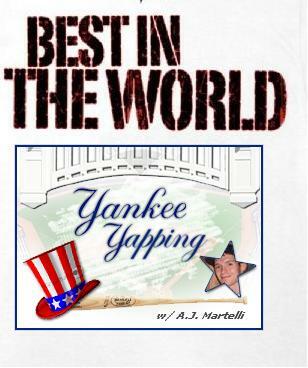 If you ask me, the Yanks should make a run for Pettitte any way it goes. If Pettitte chooses to pitch next season and the Yanks sign Lee, the starting rotation will be phenomenal. Lee would join CC Sabathia at the top half of the rotation, which would mean practically two aces pitching in success of each other. Both starters are capable of winning 18-20 games per season. Add Pettitte to that mix along with Phil Hughes, who won 18 games last season. And even if A.J. Burnett has another off-year and only wins another 10 games, it’s not bad; if a team receives 10 wins from the fifth spot in the rotation, in my mind that’s a plus. But as stated before, Lee needs to make a decision first–preferably sooner than later. · Today the Chicago Cubs signed former Tampa Bay Rays’ first baseman Carlos Pena. He received a one-year deal at $10 million. Not bad for only averaging .196 this past season. I’m just glad we don’t have to face him anymore. I was pretty tired of watching him these past few seasons, blasting the ball over the Yankee Stadium right field wall. I see it as a plus for the Yanks. Obviously Pena is not a great hitter for average but he does have pop. Maybe he can help the Cubs out. · Jayson Werth went to the Washington Nationals on Sunday, agreeing to a seven year, $126 million contract. I hope money buys happiness. Werth went from the Philadelphia Phillies, a team that in recent years is always contending and usually winning the NL East, to the Nationals–a team that basically fights for last place every year. Werth has never driven in 100 runs in his career and at best is a good, above average right fielder. I don’t think he really deserved that much money and time. He is a good player, but not good enough for $126 million. We’ll see if he lives up to that contract, and maybe in the distant future, the Nats will get better. I think they might be going in the right direction in terms of players–perhaps building around Stephen Strasburg and now Werth. But they won’t be making an immediate impact, that’s for sure. · The A’s are interested in Hideki Matsui. Don’t do it, Godzilla!!! · ESPN said yesterday that Kerry Wood might come back to the Yankees. I sure hope he does. Wood solidified the bullpen last year and was the only reliever worth anything in the postseason. · Paul Konerko re-signed with the White Sox. Good for him! I look at him almost like Jeter. He has been with the organization for a long time and I cannot picture him with another team. I hope he can continue to wow the fans on the south side and good luck to him this year. $37.5 million is a lot of coin and he earned it because of his good numbers year in and year out, coupled with his faithful service to the White Sox. The Baseball Winter Meetings will conclude tomorrow in Orlando. Rule 5 drafts will take place and hopefully this Cliff Lee nonsense will end. As I said, it’s like LeBron James. He and his agent are making things difficult and negotiations are taking a long time, probably because he can’t decide where he wants to go or what he wants to do. Why don’t they just give him an ESPN hour-long special? Where will Lee take his talents next? All I know is, he better decide. Soon. Because I’m quickly becoming tired of hearing about it.